2008 July « Japan, Hockey, Baseball, etc. Living legend and recently retired Masumi Kuwata (173-141, 3.55 ERA in NPB) threw 38 batting practice pitches today to almost-retired-but-still-rehabbing slugger Kazuhiro Kiyohara (.272/.389/.521, 525 HR, 1527 RBI) at Kobe’s Skymark Stadium. The interesting twist? 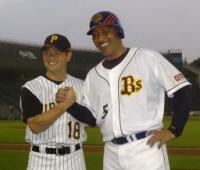 Kuwata was in his Pittsburgh Pirates uniform which he wore briefly in 2007-08 while Kiyohara wore his Orix Buffaloes uniform. The two formed the core of the mighty PL Gakuen high school baseball team in the mid-80s (made it into all 5 possible Koshien tournaments, Spring and Summer, during their 3 years from the extremely competitive Osaka prefecture, won their way to 4 finals and won the whole thing twice), and were reunited on the Yomiuri Giants from 1997-2005. The image of Kiyohara tears before the final pitch of the 1987 Japan Series as his Seibu Lions clinched the series over the Kuwata’s Yomiuri Giants is legendary. Will Kiyohara make a full come back and add to his magnificient career homerun total (5th all time and 11 behind 4th place Carp Koji Yamamoto), we can never predict with his now shattered body. This year’s Summer Koshien tournament (basic information like this can be found around the net, so I’ll try to provide additional info) will begin on 2 August (Japanese). This is earlier than usual because of the Beijing Olympics, with the latter 10 days of the tournament still overlaps with the Olympics. All the prefectural qualifying tournaments concluded yesterday on 27 July, giving players at least 5 days rest, minimum, between their prefectural finals and their first Koshien game. There are 55 teams participating in this year’s 90th anniversary tournament. In a normal year, there would be 49 participating teams. 1 each from each prefecture, and 2 each from Tokyo (east and west) and Hokkaido (north and south). They have the largest number of schools out of all the prefectures at well over 200, the former because of its sheer population, and the latter because of its vastness. This year, the additional spots in the tournament has been given to Chiba, Saitama, Kanagawa, Aichi, Osaka, and Hyogo prefectures. As these prefectures rank between 2nd and 8th in prefectural population, they have accordingly large number of schools participating in the qualifiers which makes them usually very tough prefectures to qualify for Koshien from. This year, most qualifying tournaments have about 100 schools or less participating in them. There are many smaller prefectures with around 30-40 schools in their qualifiers, with Tottori’s 25 being the least. While in normal years, the populous prefectures that have 2 teams each this year have about 150-200 teams in their qualifiers, making them very difficult tournaments to win. The prefectural tournament with the largest number of teams in it is East Tokyo with 144 teams (West has 119, meanwhile North and South Hokkaido have 119 and 128 schools). So, this year’s tournament probably has the fairest qualification and representation considering the size of each prefecture. Because of the difficulty of reaching Koshien from prefectures such as Osaka (185 schools), many kids move from populous prefectures to less populous ones to attend powerhouse baseball schools to increase their odds of making it to Koshien. Middle school players are scouted in senior/boys leagues and agents hook them up with baseball schools. Some schools are notorious for doing anything to attract talent, there’s a saying “show up just with your toothbrush and underwear, we’ll take care of everything else for you” for the top talents. Meanwhile marginal schools and players’ parents often get duped into paying fees to these agents/scouts even if the kids and schools chances of reaching Koshien hasn’t really improved. This topic deserves a separate post, and I’m reading a book on it right now, so it’ll be on the todo list (if I ever get around to it 😛 ). So, a total of over 4000 teams from across the country take part in their respective prefectural qualifier tournaments. Some schools have trouble fielding 9 players necessary for a team, so they pull students from other sports teams just to participate in their qualifier, true Olympic spirit at work here. But this can produce some really ugly results with massively lopsided games with the weak team being shutout by another team by dozens of runs. The worst blowout in Koshien qualifier history is 122-0 in the 1998 Aomori prefecture tournament (Japanese). This was caused partly because the losing team didn’t concede after 5 innings like they can as part of tournament rules, instead they completed 7 innings to have the mercy rule automatically kick in. It was some sort of character building thing, apparently, though I only see it as needlessly running up the score and hurting the pitchers arm (39 runs were scored in the 1st inning alone!) The team that scored almost gross runs? Well, they lost by the mery rule themselves a little later in the tournament, and this is in Aomori, a prefecture that has never produced a Koshien champion, so you can see the vast chasm in playing ability from top to bottom of high school ball. Due to the large number of games played (often 4 per day in the early rounds of qualifiers and Koshien itself), umpires are notorious for calling letter high and very wide strikes to speed up the game. I’ve also seen strikes being called on quarter-swings, not even close to a checked half-swing. This is less obvious but close calls at the bases seem to get called outs more often than not as well. Until the finals of qualifiers and later rounds of Koshien, the crowd usually mostly consists of each schools’ cheering squads, complete with a brass band, teammates who couldn’t make it onto the bench, sometimes cheerleaders, fellow students, and alumni. The fight songs are much more old school than NPB, though I’ve heard some modern NPB style cheer songs used by some schools. Game balls are used longer (new balls are brought out much more rarely than in the pros), and looks like they’re reused as staff collect foul balls (NPB used to do this until a few years ago as well though). Players numbers are their positions, usually. 1 being the starting pitcher, 2 the catcher, 3 being the first baseman, etc. In the quarterfinal of that year’s Summer Koshien, Matsuzaka threw 250 pitches in 17 innings in a win over powerhouse PL Gakuen. (The previous day he had thrown a 148-pitch complete game shutout.) The next day though trailing 6-0 in the top of the eighth inning, the team miraculously won the game by scoring 7 runs in the last two innings (four in the eighth and three in the ninth). In that game he started in left field, but came in as a reliever in the ninth inning to record the win in 15 pitches. In the final, he threw a no-hitter, the second ever in a final. This performance garnered him the attention of many scouts. As the tournaments progress, quarters, semis, and finals tend to be held on consecutive games, which makes having multiple competent starters necessary, even if you have a Dice-K on your team. Because all games from the quarterfinals on in both Tokyo tournaments are held at Jingu Stadium, the East and West tournaments alternate using the stadium, giving extra days rest for the players, which is especially a good thing for the usually overworked pitchers. I thought this may have been a trend, but it seems to be a unique thing for Tokyo, for now. 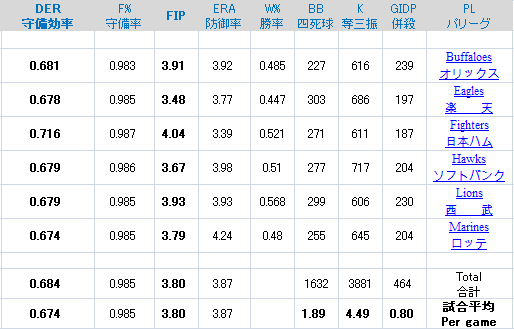 Relievers often start warming up from the 1st inning, but this is no different from other levels of baseball in Japan. The best athlete on the team used to be the pitcher, so having the pitcher hitting cleanup was not unusual until some years ago, but I haven’t looked this up so this is just anecdotal. These days, pitchers often hit in the bottom third of the lineup, as they’re more specialized. After each game, the winning school’s anthem is played. Yes, every Japanese school from elementary to university have their own school anthem. Some players share the same aluminium bat, I’m not sure why. But I saw players passing their bats to the next hitter, or the one after. And this wasn’t uncommon. Superior bat or lucky bat? That’s it for now, hopefully someone finds this information interesting or useful. SEIBU Prince Rabbits of Asia League Ice Hockey is planning a late August training camp in Bavaria in southern Germany. They have scheduled 2 games against DEL (top German league, and one of the best in Europe) teams so this should be very interesting in gauging the strength of the team and the league, as Seibu are perenially one of the best teams in the league. All other opponents are in the Bundesliga, one level below the DEL. Also, the official 2008-09 AL schedule has been announced. Following my day at Jingu Stadium on Wednesday when I saw 2 quarterfinal games, I went back there to witness both semifinal games for the East Tokyo qualifier tournament to the prestigious Koshien Summer tournament to decide on the national high school baseball champion. Turned out that Jingu is also used for the West Tokyo tournament from the quarterfinals as well, so I missed out on some good action there (a couple of 8-7 games between the quarters and semis), and that is why these Tokyo tournaments feature days off between the quarters, semis, and finals instead of having the games on consecutive days like most other regional tournaments and Koshien itself. Anyways, here’s how the day went on 25 July 2008 at Jingu. As you can tell by the final score, Kanto was on form and dominant throughout the game. Kanto’s pitcher was Matsumoto and he pitched a complete game. Since they used two lefties, Ohki and Shirai, in the previous game, it’s easy to tell that Kanto is loaded with talent, and takes good care of its pitchers arms instead of the typical arm abuse that team aces experience when they’re their team’s only reliable arm. Kanto built up a 4 run lead through persistent and well executed small ball. This was easily the most dramatic game of the 4 that I saw over these two days with Tokaidai coming back from being 4 runs down to win the game 5-4. The game was a matchup of two marquee pitchers in Kokushikan’s Maruyama and Tokaidai’s Takahashi, and they had both pitched complete games two days earlier in their respective semis. 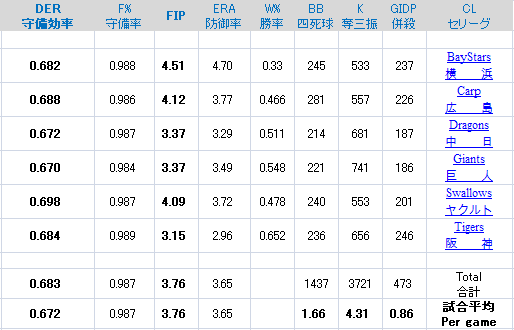 Maruyama was absolutly dominant through the first 5 innings as he hardly let any runners on base, while Takahashi struggled with his control, letting runners on base every inning (often loading the bases), and actually was lucky to be only down by 4 runs after the top of the 6th. On the flip side, this meant that Kokushikan was squandering chance after chance, but with Maruyama’s dominant form, it didn’t look like that would affect the outcome of the game. Tokaidai immediately returned the 2 runs they gave up on the 6th to keep things close at 4-2, but they still didn’t look capable of beating the powerful Kokushikan team. But then, Maruyama got tired and/or wild in the 8th and suddenly became unable to throw strikes. He managed to get 2 outs, but in the mean time had allowed a run to score and the bases to become loaded. This is when reliever Takayanagi was brought into the game in a super high leverage situation, his team clinging onto a 4-3 lead, 2 outs, with the bases loaded. The players are celebrating while quickly lining up for the post game ceremonial bow. The finals between Tokaidai-Takanawadai and Kanto Daiichi should be a dandy. Though, Kanto seems to have many reliable arms (I’ve already seen 3 of them work effectively between the quarters and semis) while Tokai seems to be completely reliant on Takahashi and he was shaky up to the 6th inning of the game. Based on this, I’ll take Kanto to win the East Tokyo Tournament to qualify for the 90th Summer Koshien in August. Hopefully IBL can remain alive in some form that will be enough to generate some interest in the sport in the country. Though scaling back to 4 teams and the small number of homegrown players probably means that baseball in Israel will always be something like hockey in Japan, Korea, and China. Turning itself into a winter league sounds like an interesting and plausible idea, even though there seems to be a mess of ideas right now about which direction the league should go in. Having both a regular summer league and a winter league will more than likely be a larger financial burden for the organization. The shakeup was the latest twist in the league’s short but tumultuous history. Just last month, the league said it was coming back for a second season after its first season left it on the brink of collapse. At the time, it said four teams would compete, down from six last year, and the season would be cut in half to 20 games. 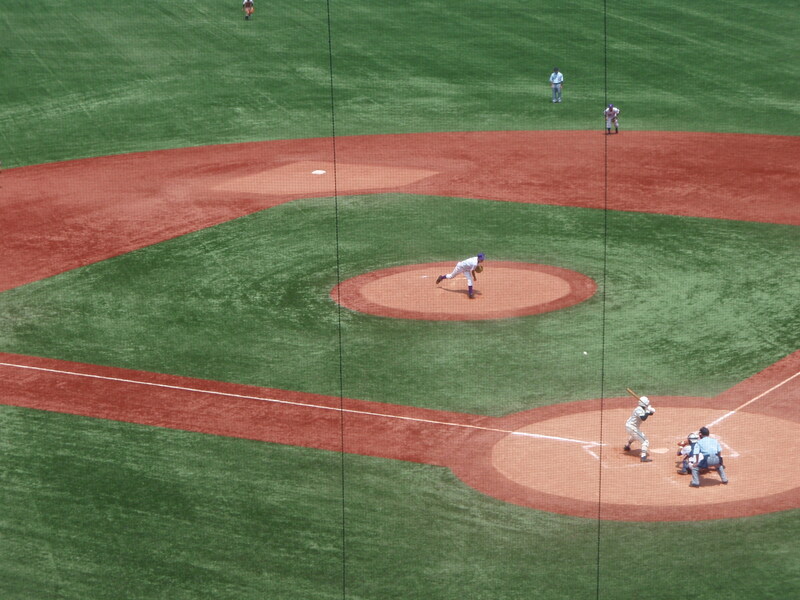 But after further discussions, the league’s new management concluded a brief tournament pitting an Israeli all-star team against international players would be the best way to generate fan interest and showcase homegrown talent, said David Solomont, a Boston businessman and the IBL’s interim president. He said the best-of-seven series, which will include youth clinics, would begin on Aug. 14 to coincide with the Beijing Olympics. “The plan to host an Olympic style baseball festival is a fabulous way to promote the sport and give the Israeli athletes the attention they deserve as local baseball heroes,” he said. The international team will be comprised of all-star players from last year, the league said. The inaugural 2007 season delivered a respectable level of play — roughly on par with single-A minor league baseball in the U.S. — and more than a dozen players went on to sign professional contracts. Former Boston Red Sox General Manager Dan Duquette, who oversaw player development last year, will now take on an expanded role as director of operations. Duquette and new board member Gary Woolf, a Boston businessman with years of sports-management experience, will oversee long-term development, including the launch of the winter league in southern Israel. Solomont said the league hopes to begin winter play this year, though he said facilities have not yet been arranged. The long-term goal is to attract international players like the winter leagues in the Caribbean. “This is going to be the Dominican Republic of the Middle East,” he said. 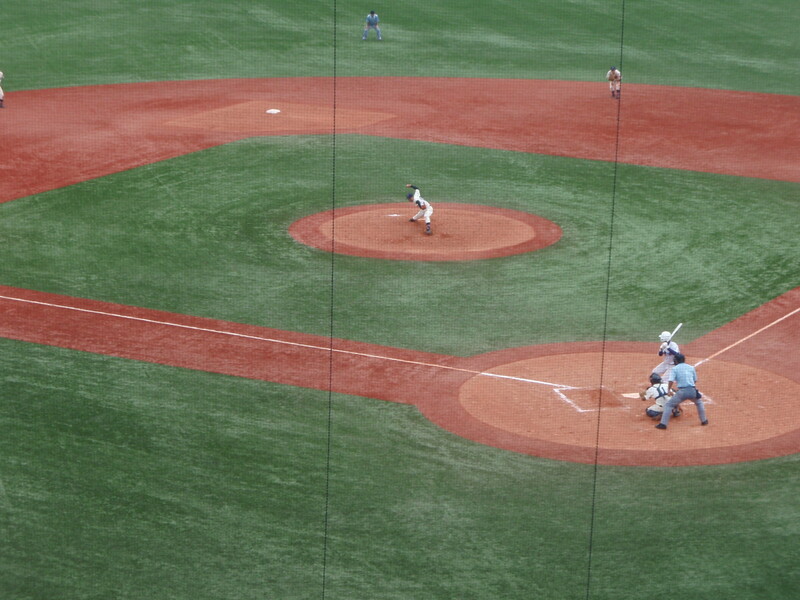 Went to see two games of high school baseball at Jingu Stadium today. They were quarterfinal games in the East Tokyo tournament (which started with 144 teams) to qualify for the Koshien summer tournament in August which crowns the national champion. 9am start time is actually necessary this time of the year (as you’ll see in the game 2 summary). Kanto wasn’t seeded in this tournament, but is one of the powerhouses nonetheless as it knocked off No.1 seed Teikyo in an earlier round (18 July). Ebara was simply overmatched, even though their submarine pitcher Ozawa valiantly kept them in the game, the lineup was no match against the two lefties thrown at them by Kanto, Ohki and Shirai as they almost evenly split the workload bringing in Shirai in the 5th inning and he simply overpowered the Ebara hitters. Thankfully, Chris of Box Office Japan showed up during the 9th inning of this game with some brew to beat the heat.